If you’re looking at this you must be interested in Ubuntu/Linux/some kind of open source software. Ubuntu is a free open source operating system. It is FREE, you can get it off the Internet, and there are no licensing fees – YES – NO licensing fees. Free to use and free to share with your friends/colleagues. It’s also free/open to go into the back end and have a play around. Why doesn’t everyone use it? They don’t market and a lot of people are convinced by marketing, they are free so don’t spend money on anything unnecessary. Is it as good as Mac and Microsoft? Yes, it is. 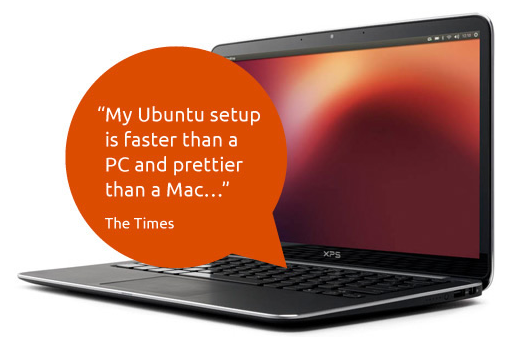 Take this from someone who has used both Mac and Microsoft for years and is now happily converted to Ubuntu. Ubuntu is super easy to use and has a large group of computer tech nerds who constantly work on improvements. Just to reinforce the reliability of free open source software: free open source software runs 75% of the worlds stock-exchanges including New York and London. It runs our air traffic control systems and nuclear submarines through to the special effects in Avatar. Open Source Software runs the majority of the Internet. Google, Amazon, Facebook, ebay and Twitter all run on the Open source platform Linux. 95% of the worlds supercomputers are Linux. Android is Open Source. Many people support free and open source software in the business and education setting. There is help if you need it. But for some reason many people still believe buying proprietary software and paying hefty licensing fees is a good idea. Go figure. For further information about open source in education check out this article on Fedena, a fully customisable open source operating system in India, it’s just been introduced and already seven million students are using Fedena hosted on a cloud. * This post originally appeared on eLearn Hub. Click here for original post. This entry was posted in Uncategorized and tagged Creative Commons, E-learning, Innovation, Open source. ← What is course authoring software and is it for me?